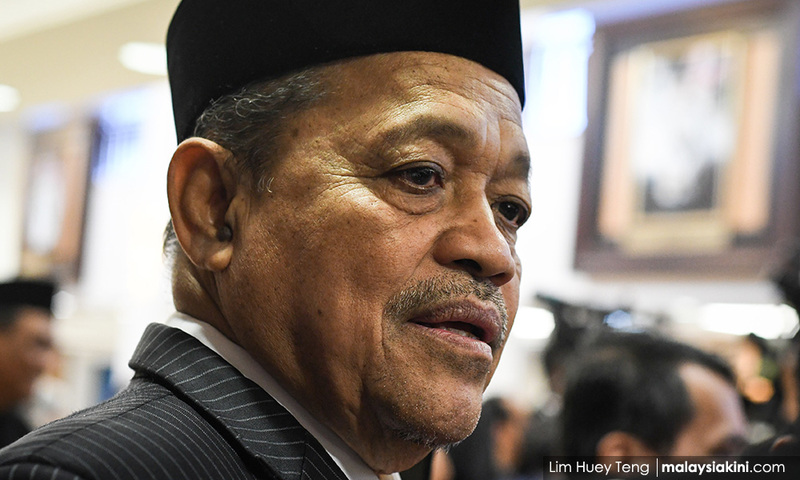 Former minister in the Prime Minister’s Department Shahidan Kassim is required to present himself at the Sessions Court in Kangar this Monday to face charges believed to be related to a molest case involving an underage girl. His lawyer, Zuhair Ahmad Zakuan, told reporters that the matter was conveyed to him at about noon today by deputy public prosecutor Mohd Farhan Aliff Ahmad. Zuhair Ahmad said this followed his application for the court to revoke the arrest warrant that was issued against his client earlier in the day for failing to be present in court to face the charge. “We (the defence) made an application to the Perlis chief prosecutor Mohd Nordin Ismail who is handling the case but it was rejected. This means Shahidan has to be in court to face the charge against him this Monday,” he said. Zuhair Ahmad, is assisted by lawyers Syed Muhammad Anwar Syed Lokman Hakim and Rabiatul Adawiah Ramli. Earlier today, Sessions Court judge Johari Abu Hassan issued a warrant of arrest against Shahidan for failing to be present in court to face charges, believed related to the case where an underage girl was allegedly molested recently. Syed Muhamad Anwar had objected to the issuing of the arrest warrant citing that neither his client nor him had been informed about it earlier and said that the defence would file for a revocation of the arrest warrant. Based on the status update on his Facebook page, Shahidan is performing the umrah (minor haj) and said to be arriving home today. News had gone viral recently that Shahidan had allegedly molested a girl who was just 15 years and 11 months. It is alleged that the girl is from a buskers group that he sponsors. The incident is alleged to have happened on Oct 21. Shahidan, however, has denied it and added that the police report lodged against him on this had been withdrawn.